A walnut looks like a small brain model for a reason. It is packed with nutrients and antioxidants that can improve your brain health. The polyphenols and vitamin E in walnuts can bring about a decrease in oxidative stress as well as inflammation. This dried fruit has been linked to an improvement in one’s memory and learning skills. The consumption of walnuts can also reduce high blood pressure markers. Studies show that nuts can bring about a slight decrease in blood pressure which makes them a food that is healthy for the cardiovascular system. This is because even the smallest improvement in blood pressure levels can take down a person’s risk of a death brought on by heart disease. For your gut health to be optimal, the microbiome in your gut must be in a balance. An unhealthy gut in which bad bacteria reign can lead to obesity, mental health problems, heart disease, and even cancer. Walnuts can help in maintaining a balance in the gut microbiome by increasing good bacteria. Eating walnuts also nourishes beneficial bacteria in the gut. Walnuts may also be of aid in decreasing inflammation. Inflammation can lead to many health concerns from heart disease to Alzheimer’s. The polyphenols in walnuts can fight off both inflammation and oxidative stress. 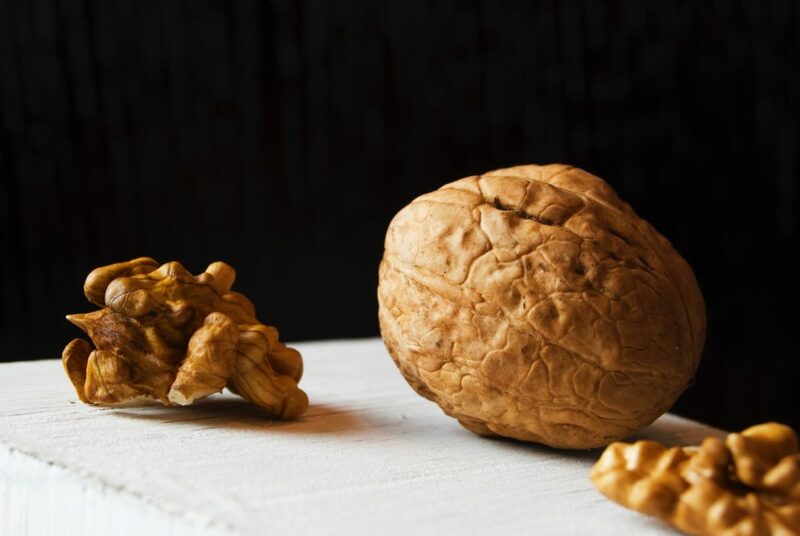 Moreover, the magnesium, omega-3 fatty acids, and amino acids in walnuts can also reduce inflammation. Walnuts are sure filled with calories, but the body does not absorb all of these. What’s more, walnuts work to suppress one’s appetite. A study shows that walnut consumption can keep people from craving tempting foods. However, more research is needed for confirming this claim that walnuts can aid in weight control. The nutrient-dense composition of walnuts can help one age healthily. Walnuts can maintain a person’s physical functioning such as mobility. They contain vitamins, minerals, fats, fiber, and plant components that are also essential for healthy aging. Hence a healthy diet that comprises of walnuts too can prevent physical impairment. Walnuts can also improve the digestive functionality of individuals. These nuts are beneficial to the gut and a healthy gut is linked to good digestive health. Walnuts can treat constipation which refers to a condition in which one’s stools get hard and he faces difficulty in passing them. Walnuts clean the digestive tract and assist in flushing out toxins as well.